This certiorari appeal arises from an over-the-road truck driver's discharge from employment for her failure to take a federally-mandated 10-hour break within a 14-hour work period after her supervisor warned her three times to do so. Lori Peterson appeals from an unemployment law judge's decision that she is disqualified from receiving unemployment benefits. Because we find that substantial evidence supports the unemployment law judge's findings and her conclusion that Peterson's violation of her employer's policy incorporating the federal regulation was employment misconduct, we affirm. In this appeal from the district court's judgment and decree dissolving his marriage, Robert McElroy challenges the district court's determinations on spousal maintenance and attorney fees. Because the district court's assessment of Robert McElroy's income, of Rhonda McElroy's income, and of Rhonda McElroy's need for maintenance are based on clearly erroneous findings, we reverse the maintenance award and remand for the district court to recalculate income and reasonable expenses and to reassess maintenance based on those findings. And we conclude that this record does not support an award of conduct-based or need-based attorney fees. Mahoney & Hagberg, n/k/a Mahoney & Emerson, a Professional Association, et al., Defendants. In this appeal challenging an order disqualifying an attorney from acting on behalf of appellant, appellant argues that the district court erred when it disqualified the attorney under Minn. R. Prof. Conduct 3.7(a) without providing a fact-specific analysis and based on speculation that he was likely to be a necessary witness. We affirm. 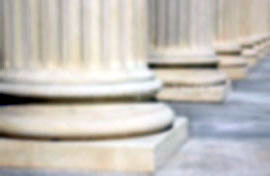 Appellant challenges the district court's decision that respondent's petition for an ex parte order for protection was not frivolous and denial of his motions for attorney fees for initiating a frivolous claim, and for respondent's failure to appear at her duly-noticed deposition. We affirm in part, reverse in part, and remand. Appellant challenges the propriety of the district court's award of punitive damages and attorney fees to respondent. Concerning the punitive-damages award, appellant claims that the award does not satisfy the statutory criteria contained in Minn. Stat. � 549.20 (2006) and that the award violates its Fourteenth Amendment due-process rights. Appellant asserts that the district court erred in awarding attorney fees based on the language of a prior settlement agreement between the parties. We affirm. On appeal from the district court's grant of partial summary judgment for appellant Timothy Zangs against the City of Saint Paul (city) for violation of the Minnesota Government Data Practices Act (MGDPA), appellant argues that (1) the city's failure to create, maintain, and provide appellant with individual raters' notes regarding the video portion of his civil service promotional exam violated both the MGDPA and the Official Records Act (ORA) and (2) the district court erred in limiting appellant's remedy under the MGDPA to an award of attorney fees. We affirm. Appellant challenges the district court's grant of summary judgment in favor of respondent, arguing that the district court erred by concluding that appellant's claims are barred by a waiver and release provision, and that there are genuine issues of material fact that preclude summary judgment. We reverse and remand. Appellant challenges the district court's decision granting summary judgment in favor of respondent on appellant's whistleblower claim under Minn. Stat. � 181.932 (2004). Because the district court erred in determining that there were no genuine fact issues, we reverse and remand for further proceedings. Kristin Krueger appeals, by writ of certiorari, an unemployment-law judge's determination that Krueger's voluntary termination of employment disqualified her from receiving unemployment benefits. Because a person who quits employment is generally disqualified from receiving benefits and none of the eight statutory exceptions from the general rule applies, we affirm. On appeal in this lease-guaranty dispute, appellant guarantor Mark Motz argues that (1) summary judgment was improper because appellant raised fact questions regarding the extent to which the tenant's improvements of the leased property should be offset against the unpaid rent that was the subject of the guaranty and (2) the district court abused its discretion by denying appellant's motion to vacate default judgment against the tenant co-defendant. We affirm. 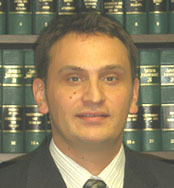 Appellant Daniel Bona, a landowner, challenges the district court's award of disputed property to respondents Michael and Jodie Stacken on the ground of adverse possession. Because the district court did not abuse its discretion in the reliance it placed on various exhibits or in denying Bona's motion to amend the findings and because it made sufficient factual findings that are not clearly erroneous and that support its conclusions of law, we affirm the award. Because some property south of a tree line was awarded to the Stackens and this was not the intent of the district court, we remand for a legal description that awards the Stackens only property north of the tree line. Appellant also challenges the award of disbursements. Because the district court did not abuse its discretion in awarding the Stackens disbursements for deposition costs, survey fees, and expert fees, we affirm those disbursements. Because the district court abused its discretion in awarding the Stackens a disbursement for abstract fees, we reverse that disbursement. M. L. A. and J. J. K., Parents. These are consolidated appeals after a remand in a termination-of-parental-rights matter. Appellant-parents argue that the record does not support the termination of their parental rights. We affirm. In the Matter of the Civil Commitment of: Russell John Hatton. On appeal from his indeterminate commitment as a sexually dangerous person (SDP), appellant Russell John Hatton argues that: (1) the SDP statute deprived him of due process by not requiring that all facts underlying his civil commitment be proven beyond a reasonable doubt; (2) his attorney provided ineffective assistance that resulted in appellant's indeterminate commitment; (3) the district court committed reversible error in denying three of appellant's motions for continuance; (4) the district court committed reversible error when it denied appellant an additional examiner of his choosing for the 60-day review hearing; and (5) the record does not contain clear and convincing evidence supporting appellant's indeterminate commitment as an SDP. We affirm.